Do you ever have the problem where you start a long running script (such as running a code build), multi-task on something else on another monitor while waiting for the script to finish, and then totally forget about the script until half an hour later? Well, here’s a solution your problem: have your script give you holler at you when it’s done. # Use the default player to play. Hide the window. If you like the text-to-speech feature but find Windows’ speech engine lacking, check out Ivona. It’s a commercial text-to-speech engine but you are allow to generate and download short speech files for free personal use. Now, my script can nicely interrupt me to tell me when it’s done. Other online text-to-speech engines: vozMe, SpokenText. # $type - "info" or "error"
I found out the hard way that mvn (Maven) on Windows always return a success code of true, which means you cannot use the return code ($?) to check whether the mvn command succeeded or failed. Why they decided to break this seemingly basic program contract is a mystery. A work-around is to scan the mvn output and look for specific strings such as “BUILD SUCCESSFUL”. $fullCmd = "$cmd|Tee-Object -variable result"
InvokeAndCheckStdOut $cmd "BUILD SUCCESSFUL" "BUILD FAILED"
The following, which I guess is what most people try first, doesn’t work (at least in PowerShell V1). I guess because you are storing the result of the “Invoke-Expression” command itself into the variable instead of “mvn clean install”. Wrapping Invoke-Expression in parenthesis (see below) works, but has a drawback: the output is not written to Standard Out until the whole command finishes. An empty file created immediately when you call this method. Remember to clean it up when are you done! Thread synchronization: Wait and Pulse demystified. By Nick Butler. Use a shortened GUID for file names and request strings. ShortGuid – A shorter and url friendly GUID class in C#. By Dave Transom. 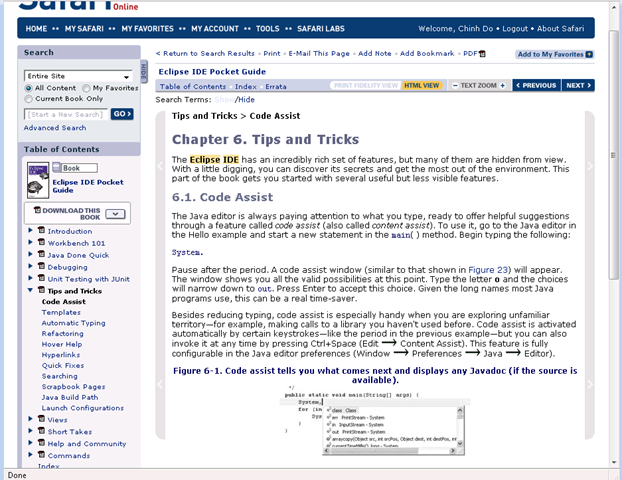 Top Ten Tips to Using XPath and XPointer. By John E. Simpson. Client-side caching for script methods access in ASP.NET AJAX, by Jeffrey Zhao. A very nice two-part introduction to jQuery, by Rick Strahl. A COMPARISON OF MICROSOFT’S C# PROGRAMMING LANGUAGE TO SUN MICROSYSTEMS’ JAVA PROGRAMMING LANGUAGE. By Dare Obasanjo. Silverlight 2 End to End Tutorial: Building a Digg Search Client, by Scott Guthrie. Fluid Canvas in Silverlight, by neo. Performance Improvement for WCF Client Proxy Creation in .NET 3.5 and Best Practices. By Wenlon Dong. A comprehensive guide to using MsmqIntegrationBinding with MSMQ 3.0 in WCF. By Simon Evans. If your WSE 3.0 Mutual Certificate Authentication web service runs very slowly, try setting establishSecurityContext to true. PowerShell Community Extensions has very useful cmdlets such as Get/Set-Clipboard, Write-GZip, Start-Process, Select-Xml and many others. John D. Cook’s PowerShell Cookbook has lots of useful PowerShell recipes. Microsoft Windows SteadyState (free) is great for maintaining public-access computers. Anatomy of a malware scam – The evil genius of XP Antivirus 2008. By Jesper M. Johansson. If you’ve had to help your relatives and friends clean up after XP Antivirus 2008/2009, read this very detailed analysis of the malware. A while ago I had been posting my Finds of the Weeks series and this is the continuation of that. Instead of weekly though, this series will be more of a “whenever possible” kind of thing. Some code optimizations can actually slow down your app. Beautiful Code: False Optimizations by sernaferna. Quad core + 8GB RAM + Server 2008 with Hyper-V = A Great Dev Environment. By Craig Lussier. jqModal is a modal dialog plug-in for JQuery. Worked great for a project I was working on two months ago. 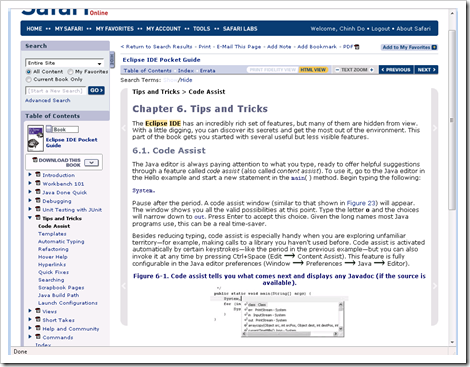 Safari Books Online is a great online programming books service. For a monthly fee, you get to read several books using your browser. The browser interface is not great, but the price is much lower than actually buying the book. Randomly ordering an array is simple. That’s what I thought until I ran across Techniques for Randomly Reordering an Array (by Scott Michell). Eugene Osovetsky explained a few peculiarities when consuming WCF services from Visual Studio 2003: Solving the “disappearing data” issue when using Add Web Reference or Wsdl.exe with WCF services. If you have a DataReader and don’t intend to read all records from it, call IDbCommand.Cancel before you call IDataReader.Close so that the rest of the unread records are skipped. Scott Hanselman: Assembly Fiefdoms: What’s the Right Number of Assemblies/Libraries? VS.NET Tip of the Day: Reusing C# Source Code Across Multiple Assemblies. By ShawnVN. Setting the log file location at runtime with a DOM configured log4net. By Keyley on Kode. WCF – Recommended Settings for Tracing and Message Logging. MSDN. WCF – Enabling Performance Counters. By Nicholas Allen. One of these days I’ll get back into Windows Mobile programming. Adjust Your Ring Volume For Ambient Noise, Chris Mitchell. Did you know ReSharper supports wildcards in its Go To Type dialog box? Joe White’s 31 Days of ReSharper series is a must read for ReSharper fanatics like me. Is image processing in C++ a thing of the past? Discover Enhanced Image Manipulation with GDI+ (by Tade Oyebode). DataContractSerializer can be used to deserialize WCF messages. Unraveling the Mysteries of .NET 2.0 Configuration, by Jon Rista. Stefan Delmarco talked about the NEWSEQUENTIALID function in SQL Server 2005. Mutexes are fun: Application Locks (or Mutexes) in SQL Server 2005. Mladen Prajdic. Windows XP flakiness – solved. By Kevin Dente. “Out of Memory” error message appears when you have a large number of programs running. 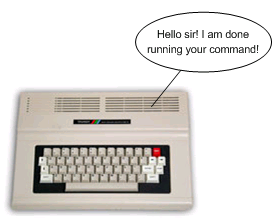 Microsoft Support. If IE crashes when you try to open SharePoint documents, try this fix: regsvr32 “C:\Program Files\Microsoft Office\OFFICE11\OWSSUPP.DLL”. 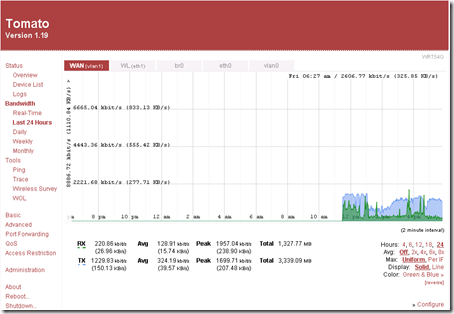 If you have a Linksys WRT54* router, I highly recommend loading Tomato firmware. I have been using it for about 6 months now and it’s so much better than the built-in Linksys firmware. 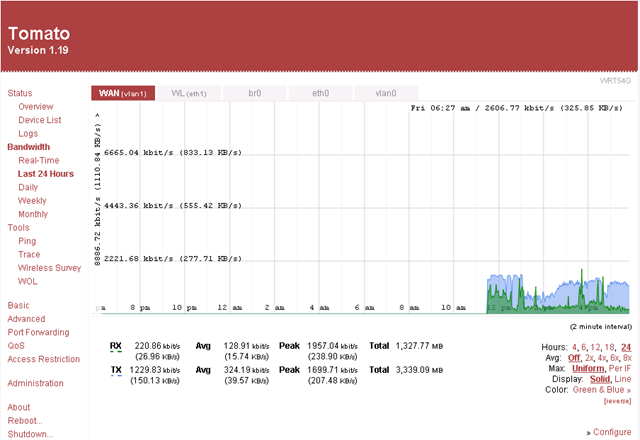 Tomato’s QOS works great to make sure my Vonage phone line remains usable at all times. Ben Pierce posted a series of very useful PowerShell command-line demos: Demo1 (Administering Windows), Demo 2 (Administering Servers in bulk), Demo 3 (How do I Know Which Class to Use), Demo 4 (Administering Hyper-V). World War is a very nicely done digital animation by Vincent Chai. My son can watch it for hours. Your browsing history can be used by any web site out there to guess your gender. Using your browser URL history to estimate gender, by Mike on Ads. A fascinating into the human mind: The Interpreter (Has a remote Amazonian tribe upended our understanding of language?). By John Colapinto. If you are a subscriber to my blog, you may have noticed that I have not been posting my more “Finds of the Week” in the last 2 months. Well, I was a little busy with the month-long Euro 2008 tournament in June, plus a couple of new games (Crysis and Medieval Total War II). Finally the Olympics in August finished me off. I am going to turn this series into a periodic (as in longer than weekly :-)) Interesting Finds series from now on. Oh, if you want to know… Crysis is ok. Very good graphics and requires a hot rod box but gameplay is just ok. I am more into realistic squad-based shooters. Medieval 2 is very addictive. I can’t believe I didn’t know about ThreadStaticAttribute. While searching for more information on it, I ran across this interesting article on MSDN Magazine: Scope<T> and More (Stephen Toub) that talked about the use of ThreadStatic in System.Transactions. 10 Tools Which I Left After Using VSTS 2008. By joycsharp. NDepend – deep code metrics. By John-Daniel Trask. Windows Vista and Server 2008 bring us Transactional NTFS. Find out more with Enhance Your Apps With File System Transactions. Jason Olson, MSDN. 10 reasons why SQL Server 2008 is going to rock. By Angry Hacker. Euro 2008 Official Match Ball – special production film . Yes, I was a little obsessed with Euro 2008.